April has had a bad time of it. Songs bemoan its showers, a poet calls it the “cruelest month,” its length has been cut, and its first day is for fools. Even the origin of its name is uncertain. Others have pooh-poohed this idea, pointing out that no other month has been named for a condition of nature. Instead, they say, the likely source is a goddess. These scholars, steeped in dusty mythology of ancient Greece and Rome, maintain that the Romans dedicated this month to Venus, the goddess of love, because April is the month when nature begins its myriad methods of reproduction. 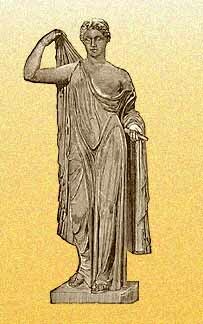 The Greek for Venus was Aphrodite, and, the scholars say, that is the root of the name – from Aphrodite to Aphrilis to Aprilis to our April. Aperire seems so much simpler and more reasonable.